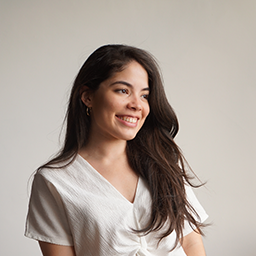 Alejandra is our lead content strategist. She has a marketing degree and has worked on digital marketing for the past two years. Alejandra always goes in search of more, she is clever and creative in everything she does. She is a persevering woman who always achieves her goals. Ale is amazing in everything she does. She loves everything in digital marketing but is genuinely passionate about content and planning. She is a very cheerful person who enjoys a healthy lifestyle. One of her passions besides digital marketing is Crossfit, let me tell you that lifting 100 pounds is not an easy thing to do. Way to go Ale! A ship at harbor is always safe, but that's not what ships are for.